I guess this excited feeling all started in middle school, truth be told. For a science fair demonstration, I had to think of a cool non-experiment thing to do. Being artsy even then, I created a character that lived on Mars. I had to talk about how this Martian teenager lived using scientific research. I aced it because it was so darn creative. But that character continued and I wrote short stories about her life on Mars. Her school, her friends, and her side kick. In addition to no longer being a child, Jennie had a past and a purpose that drove her over the edge and down one side of a deep canyon. If it wasn’t for Sherlock…. But I put that story line and that book (which I began during a NaNoWriMo) aside. I wrote blog posts and articles. I went back to school and wrote other yet-to-be published books. And I read a lot, studying mystery writing from Raymond Chandler and Walter Mosley and Janet Evanovich and Graham Greene. Now, as I’ve done all my life, I’ve come back to Jennie. 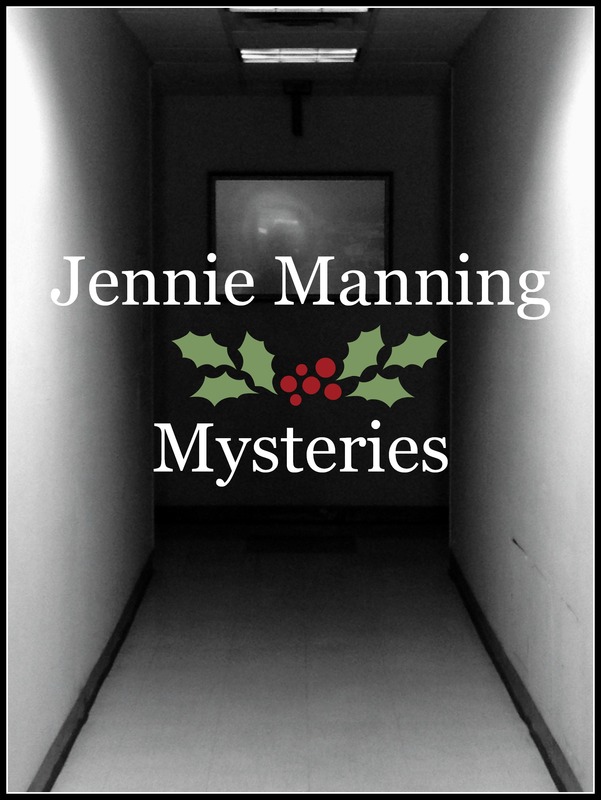 I’m excited that a Jennie Manning mystery will be my contribution to the Holiday Blog Tour this year. (I’m up this Sunday.) It’ll be the first time anyone has read or gotten to know this character I’ve grown up with. It’s her coming out party and like a proud parent I’m a bit nervous. However, it’s been a blast getting to know Jennie again. After all these years, she’s still in my head and I still know her. It’s like no time has passed and I am picking up with this character exactly were I left off. This typically doesn’t happen when I walk away from a character from some reason and return to it. Heck, this doesn’t happen when I come back to a story the next day. I’m excited and nervous. I actually smile while I’m writing her so I’m hoping you’ll like reading her. Meanwhile, don’t expect to just see Jennie and her sidekick Sherlock just at Christmas. She’ll be back with a new adventure soon. There’s also some big plans for her in 2014 (to know more, sign up). But let’s get back to the story coming out on Sunday. To celebrate her first story, I am giving away a $25 Amazon gift card to the folks who stop by and read the story. I’ll give out the full details then but I wanted to give you a heads up first! And now back to writing. Back to the dream. If you could see my smile right now. Previous postWriters and social media: A basic how to. Next postHappy New Year! Get rid of your resolutions! You’ll be getting an entire story today!